You want to start an online or offline business, but you’re not sure what your first move should be. You have a business idea, but you’re not sure what to do with it. You already have an online business, but feel a little stuck at your current level. You want to get into info marketing (writing a book, creating a course, etc), but don’t know where to start. You just need a little dose of encouragement. If any of these describe you or if you just feel like a conversation with me would help take your business to another level then I would love to help you. I have been making a full time income online since 2008. 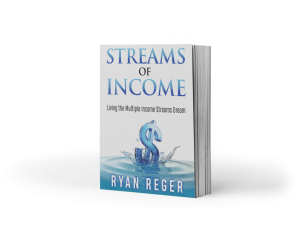 I have multiple streams of income from selling physical products, to my books, courses, and consulting. I absolutely LOVE brainstorming ideas so let me help you get to the next level in your business. Book a one hour session with me today!